We are excited to announce that we are currently seeking to recruit a Debt Caseworker preferably with Approved Intermediary status to join our thriving charity within County Durham. Salary: Grade 4a £21,122 or Grade 5a £22,706 dependent upon experience and accreditation. Location: Citizens Advice County Durham, Armstrong House, Abbey Woods Business Park, Pity Me, Durham DH1 5GH. 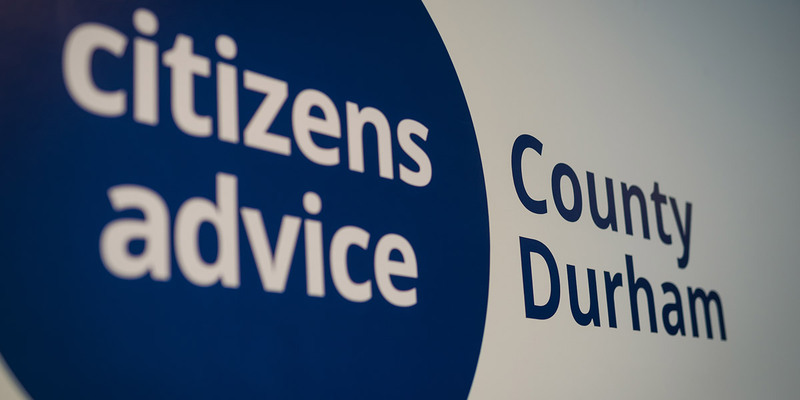 Citizens Advice County Durham are currently seeking to recruit in the Debt Relief Order (DRO) unit which supports the Citizens Advice Network across England and Wales with the processing and submission of DRO applications. Context of role – To process and submit Debt Relief Order applications on behalf of clients referred into the unit by Citizens Advice Network. Recent or ongoing experience in delivering specialist debt casework is required and current Debt Relief Order Intermediary Status is desirable. Consideration will be given to applicants who are not Approved Intermediaries but have the Money Advice Service Giving Good Debt Advice Accreditation or equivalent. We are excited to announce that we are currently seeking to recruit a Finance and Resources Business Partner to join our thriving charity within County Durham. The successful post holder will be taking responsibility for the sound financial management of the charity, partake in key procurement contract reviews and negotiations and also manage the I.T. outsourced contractors. The charitable organisation is undergoing a period of substantial growth and change. The position will report to the Chief Executive and will form part of the Senior Leadership Team overseeing all aspects of the charity’s activities. This post is part funded through ESF/Youth Employment Initiative (YEI) as part of the 2014-2020 European Structural and Investment Funds Growth Programme in England. Are experienced accounting and book keeper skills, an associated accounting qualification. Whilst working for us you will be a part of our amazing newly formed team, you will have a fantastic opportunity to achieve great things. You will definitely get the best feeling at the end of a day after you have contributed to many people in need. We’d like you to have the best career opportunities working for us supporting you every step of the way. Key work areas & tasks: Providing specialist debt advice and casework to clients both face to face and on the telephone within the aims and principles of the Citizens Advice Service and to AQS & Money Advice Service quality standards, ensuring that contract terms and targets are met at all times. What we offer: There’s lots! Including: a competitive salary, pension scheme, 25 days holiday, excellent training and development opportunities and much more! This post is funded through ESF/Youth Employment Initiative (YEI) as part of the 2014-2020 European Structural and Investment Funds Growth Programme in England. Citizens Advice County Durham are a partner of DurhamWorks. DurhamWorks is a dedicated programme for young people aged 16-24 living in County Durham who are not in education, employment or training. It offers a complete package of support to help young people reach their potential. As a partner Citizens Advice County Durham delivers ACT DurhamWorks, combining our own adviceline call training with employability & confidence building skills, we adapt our programme to meet the needs of the individual helping the participant to progress into work, training, education or further support. The aim of the role is to ensure all documentation & expense is correctly completed & eligible under ESF funding requirements/guidance or as set by DurhamWorks lead partner Durham County Council and provide additional administrative support as required. The post holder will be expected to travel to between DurhamWorks delivery locations working with ACT DurhamWorks staff ensuring an effective, motivational & inspiring service.